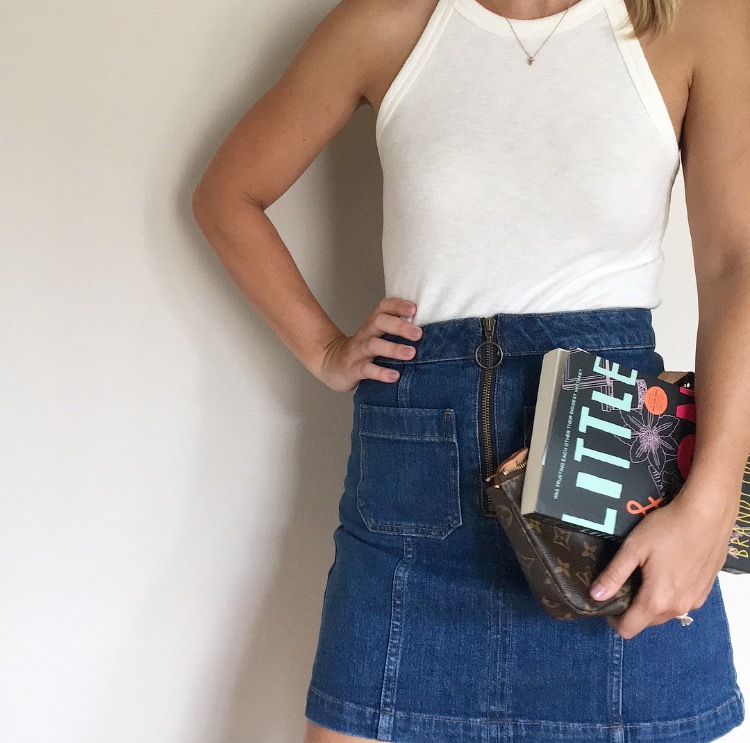 http://rstyle.me/~aeuIl The Blonde Bookworm: The Jean Skirt: Whack or Back? The Jean Skirt: Whack or Back? I'm sure you've seen the jean skirt circling fashion blogs everywhere, but its time to weigh in. Is it whack, or is it back? Personally, I think its back! But everyone has a right to their own opinion, and I want to hear yours so comment and let me know what you think! Below you will find links to the items I'm wearing as well as other similar products.